If you’re always keeping a close eye on your bank account for fear of not having the cash to cover direct debits or standing orders, a bank overdraft might help. An overdraft can act as an emergency buffer to help keep you afloat when times are tough, but what should you know about them? Just about everyone is feeling the squeeze on their incomes at the moment as the cost of living increases, wages remain stagnant and jobs are lost. It seems like we’re constantly paying out more than we’re receiving so it can feel like the rug has been pulled from below your feet if have to pay out more than usual. With one eye constantly on your bank account, it can be hard to relax for worrying about money. A bank overdraft could give you the reassurance that all your bills will be paid and you won’t be slapped with penalty charges. The interest charged on borrowed money will depend on who you bank with so make sure you read the terms of any overdraft before agreeing to it. Some accounts offer a free overdraft but this will only be up to a certain amount. This means you might be able to get that buffer without spending an extra penny but it’s important you stay within your limits. 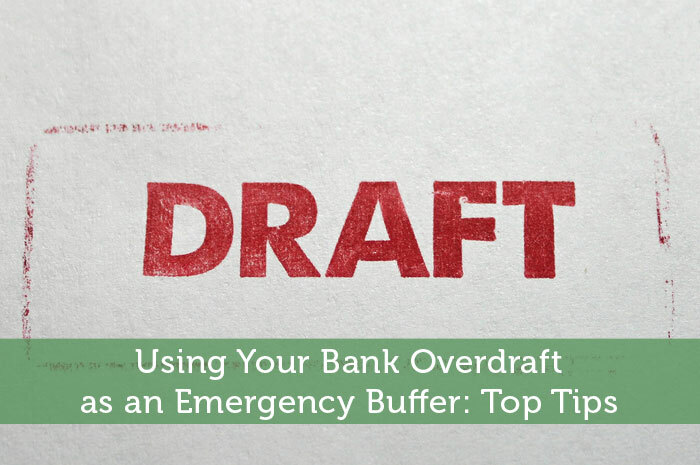 Bank overdrafts are a great way to get the reassurance that you won’t be chased by creditors next month as your emergency buffer has covered your bills. However, it’s important that you don’t treat borrowed cash as your own money. Some people are immediately put off by the word ‘overdraft’ because it brings back memories of sky high charges and fees. If this is your experience of overdrafts then it’s more likely that you have entered an unauthorised arrangement. This is when your bank covers your outgoings but you have no pre-arranged overdraft. This is incredibly expensive and should be avoided at all times whereas an authorised overdraft means your bank has agreed to lend you money and will only charge interest on the amount borrowed. Misusing an overdraft could put you in all kinds of trouble so it’s worth seeking professional advice to make sure you are making the most of your overdraft. Bank overdrafts are an incredibly common way to borrow money to cover those unexpected expenses but it’s wise to seek advice before committing to an agreement. Great point about borrowed cash; easy trap to fall into.